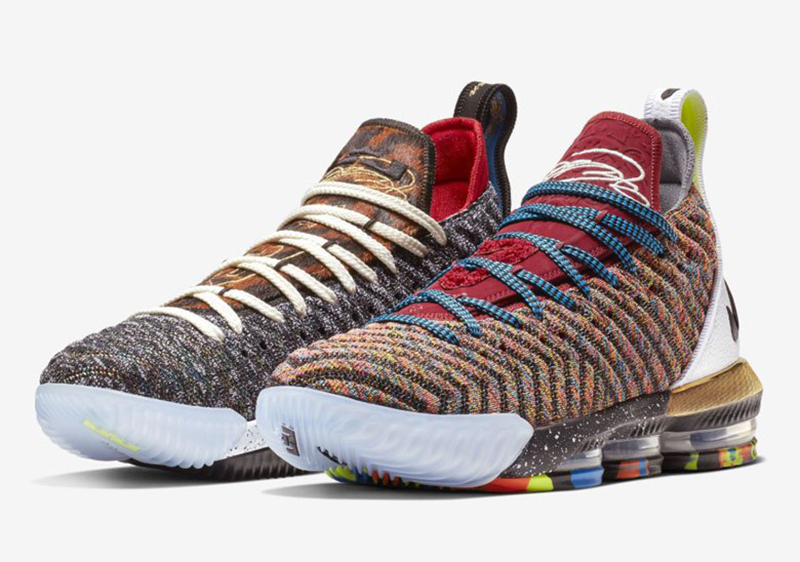 After unveiling the HFR x LeBron 16 the other day, Nike Basketball gives us some pre-heat loving for James’ latest signature shoe. 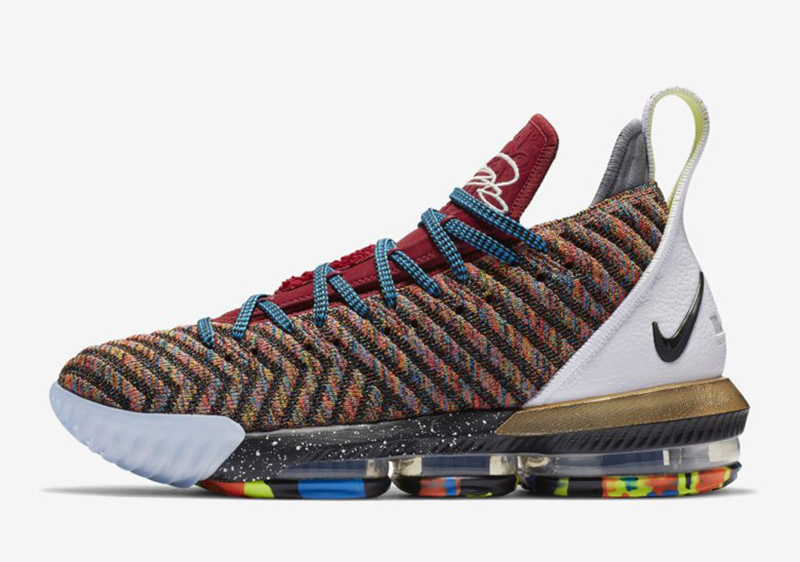 The immediate call here is that this is the “What The?” colorway of the 16, featuring several distinct nods to Bron’s entire signature line. 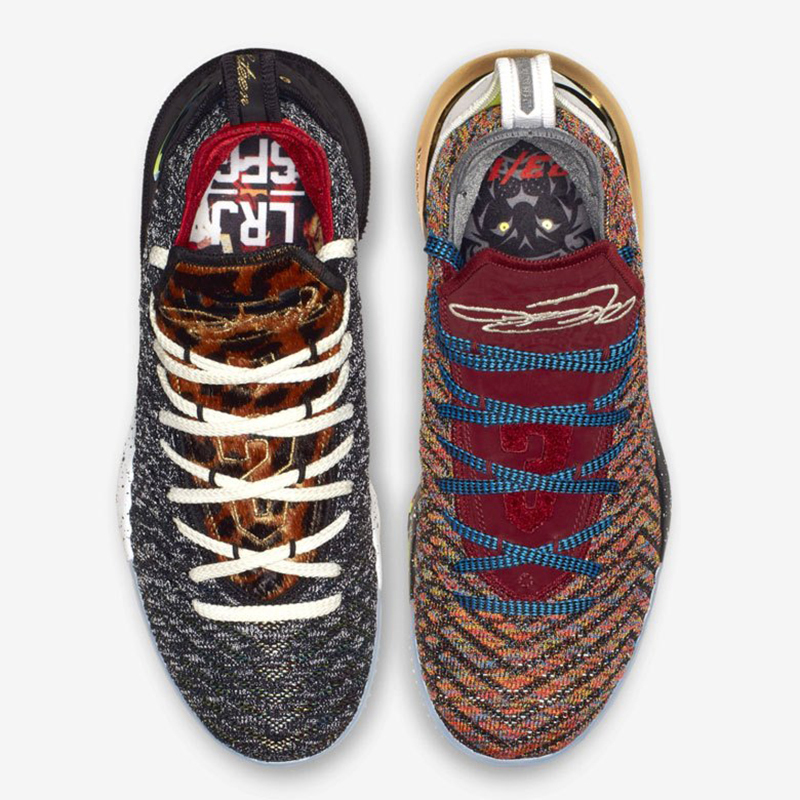 The shoe features two Battleknit uppers, one in multicolor and the other in black/grey/white. 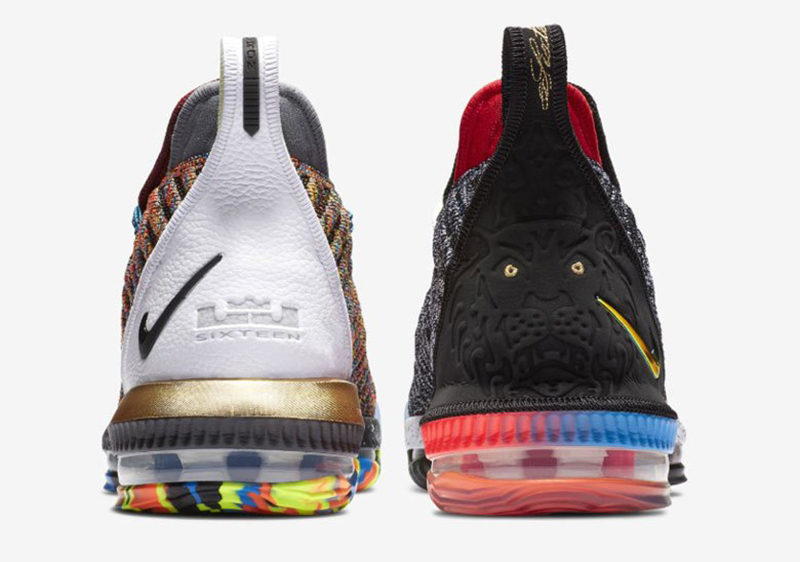 On the tongues, you’ll see both LeBron’s signature as well as his LJ crown logo. The heels also feature different designs, with the left showcasing the LJ crown with SIXTEEN printed underneath it, while we get to see the Lion back in black. The 16’s cushioning seems to be a full-length Zoom Air unit, similar to that of the LeBron 15. 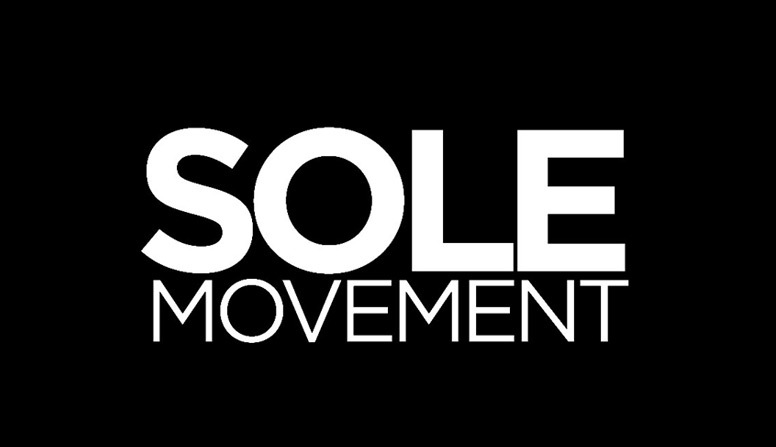 The sneaker’s pretty busy and we’ll try to get more information on the said sneaker. Keep it locked here for more info on the LeBron 16 and this special release.